I've decided to have little Thursday Thoughts every now and then to talk about any views or thoughts (hence the name) I have in the fashion/beauty industry at this moment in time. I have to say - I see no problem with this at all. I have to say, I love my Mums wardrobe - she has amazing taste and I love it when she has a wardrobe clear out... It's like all my christmas' and birthday's all at once. When it comes to Christmas I just let her choose what clothes she is going to get me as I know she will know exactly what will suit me and what I'll love. I have to admit - around a quarter of my wardrobe originated in my Mums closet so I can't and won't judge Kate at all. My only thing is this - I don't actually like this outfit! I usually think Kate has lovely taste, in most cases, but having seen this outfit on her Mum I think it shows just how skinny Kate is and I do think it is a little too old for her. But keep recycling your Mums clothes Kate! I will definitely keep recycling my Mums... which reminds me, she is due a clear out soon! Have you ever stolen any of your Mums clothes? 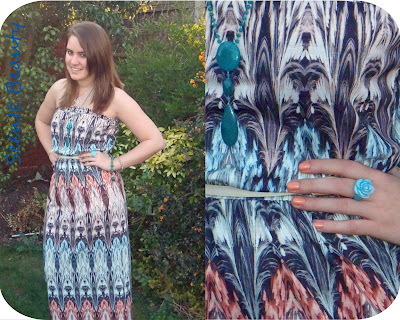 Tribal is hot for Spring right now and this is my fabulous new Miss Selfridge maxi dress. I broke my 'no clothes shopping' lent for this and it was well worth it - the boyf even agrees (kinda!). It is ridiculously comfy and looks amazing. I bought my wedges as an investment last summer from Topshop and were one of my best ever buys - incredibly high but comfy! My Lola Rose jewellery is gorgeous... 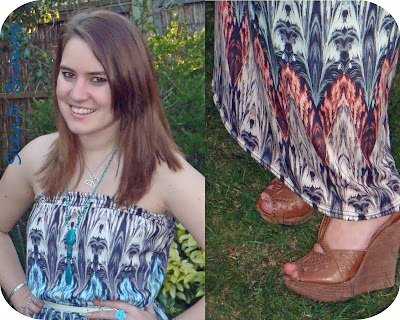 I absolutely love it and have a few pieces but these ones bring out the turquoise in the dress and is really different. 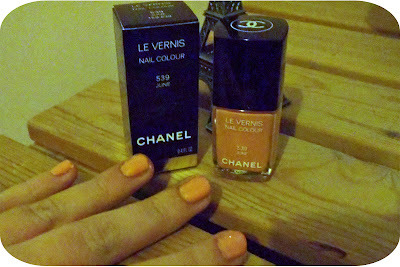 My nail varnish is from the blog yesterday - Chanel's 'June' shade, it is gooorgeous and really contrasts the dress. Hope you love the outfit as much as I do! This is Chanel and their fantastic 'June' shade. It's such a pretty coral colour which goes with pretty much everything. I find that with some Chanel polishes the brush makes it hard to apply, but with this one it was really easy and just glided on with so much ease. The first coat is very light so you do need about 3 coasts to get this level of colour - but once you've done this it lasts for ages. My record so far is nearly 2 weeks with only a couple minor chips! Chanel have also bought out 'April' and 'May'. I find Chanel nail varnish can be pricey (well hello it's Chanel!) but it is worth it, it lasts for ages and like I said, goes with everything. Plus - it's so pretty! Everyone is talking about Hunger Games actress Jennifer Lawrence at the moment - and I have fallen in love with her as well! I loved the Hunger Games books so I was very excited for the release of the film and to see who'd be playing Katniss and I don't think anyone could have done a better job. She has come under slight criticism for being labelled "too big" to be in a film which is centered around starving children - but if you read the book you know she feeds herself from hunting so it all fits! Shush to critics! I think she looks incredible and have fallen in love with all her outfits from The Hunger Games premiers (please see above). For a relative newcomer she knows exactly how to dress for her body and isn't afraid to try some daring looks - I'd never get away with her Prabal Gurung gown! Let me know what you think but personally I think she's a stunner - definite girl crush alert! No Clothes For Lent - What About Shoes? 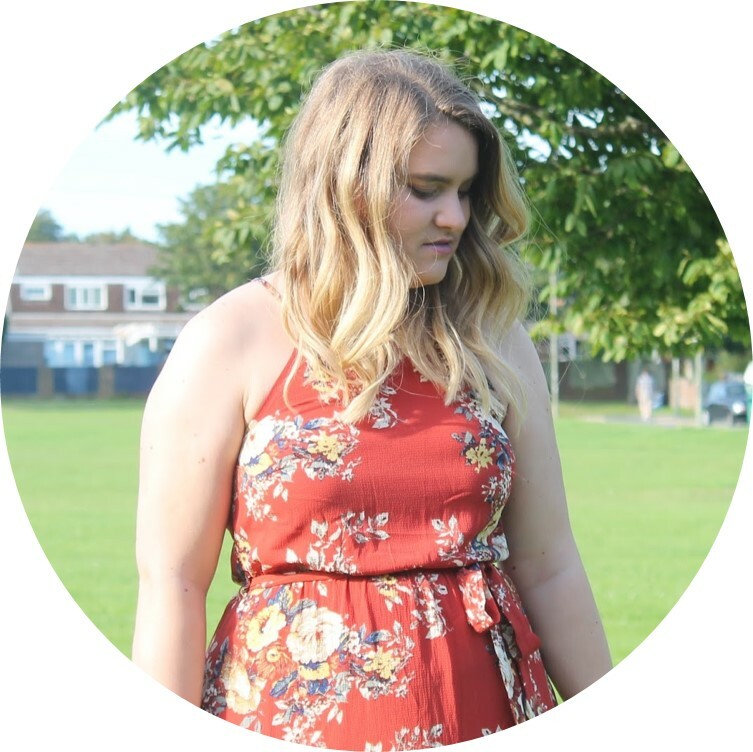 For someone who has just starting a beauty & fashion blog, being on a shopping ban isn't exactly ideal... For some bizarre reason I decided I'd give up clothes shopping for Lent (god help me!). Very silly idea! However, I have decided that this excludes accessories and most importantly: SHOES! I decided to indulge myself in a pair of gorgeous sale shoes from Miss Sefridge (see below). Whilst on my shoe journey I found other shoes in current sales that tempted me... Take a look!